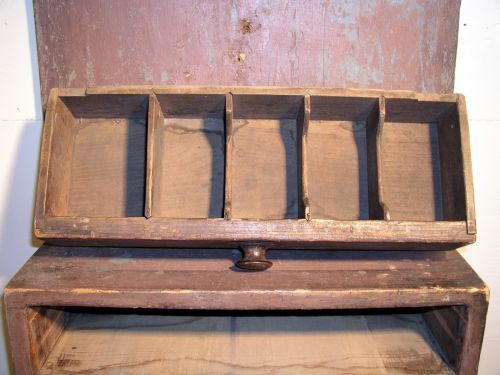 Pennsylvania toll house painted clock shelf with two drawers. 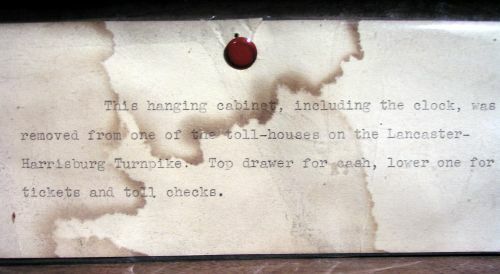 Top drawer was used for cash receipts and lower for tickets and toll checks. Wonderful dry painted surface with a mauve color over the original blue/green surface. Top drawer is square nailed and lower drawer is dovetailed. 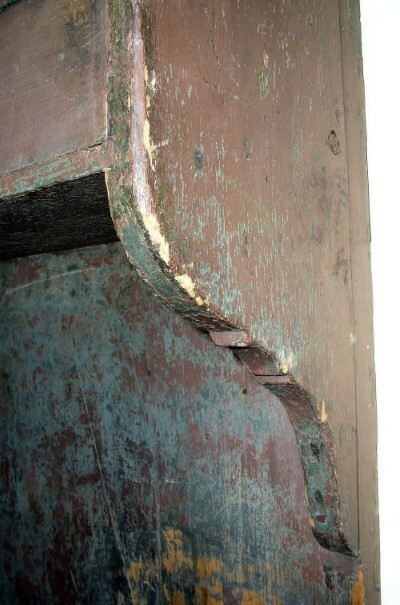 This is the way it was made as the paint history is the same. Dimensions: Measures 49 3/4" tall X 19" wide X 7" deep. 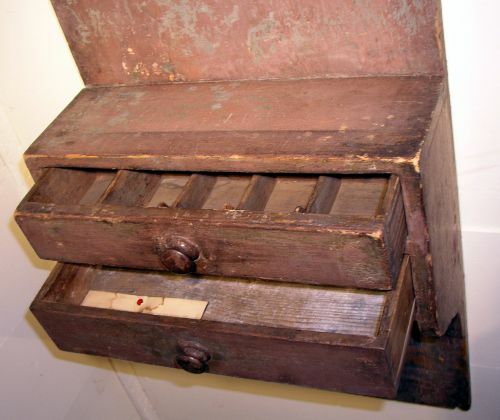 The top section measures 25 3/4" above the drawers.